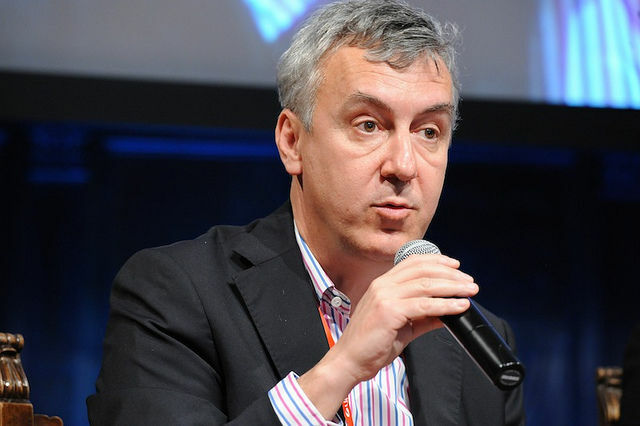 Marco Zatterin is Vice-Director of La Stampa. 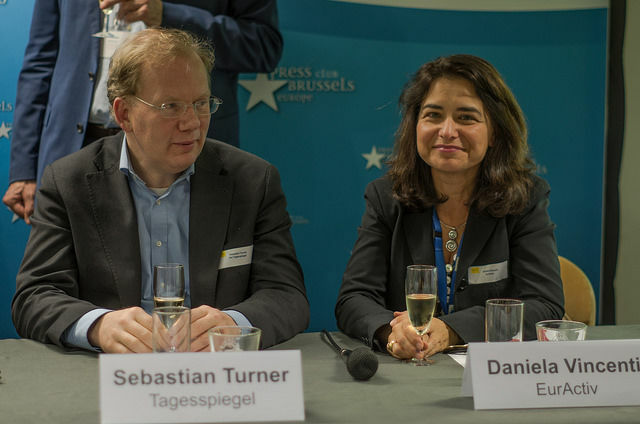 He spoke with EURACTIV founder Christophe Leclercq in a #Media4EU interview. After the Brexit vote and Trump’s election, what role does the media play in countering populism? People all over Europe have been baffled by the economic crisis, which struck when they were not ready to face it. The crisis brought a general malaise, a feeling of bad conscience about the European integration project. Suddenly all the hope about its future turned to black, so it was easy for a part of the political class to let the people think it was Europe’s fault. 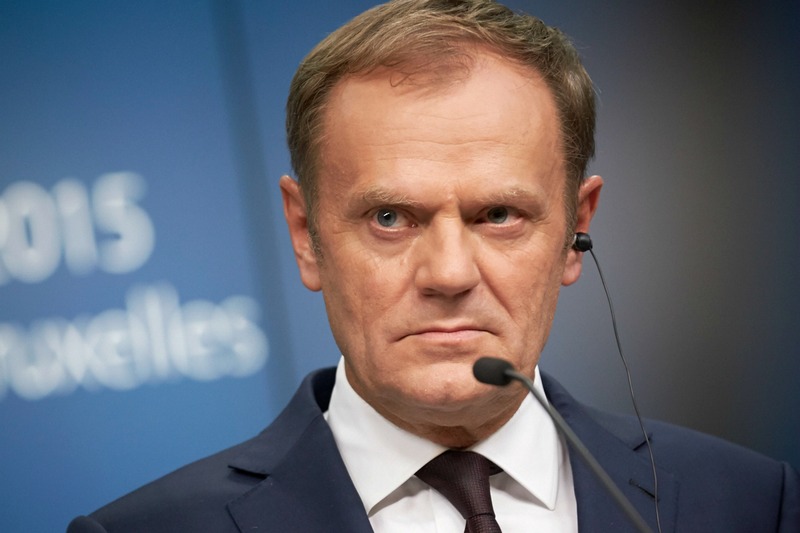 It was evident that Europe was used as a scapegoat, and since the lie was so big and the EU bears a lot of responsibility, people believed it. Then we had this populist wave, people thought that there could be a shortcut out of the crisis, which has specifically been damaging their welfare and lifestyle. This shortcut was: ‘let’s get out of Europe, let’s kill our mother Europe’. This was the main cause. We had a crisis, some political movements blamed it on Europe and a huge number of European citizens believed it. Have you seen growth or a decrease in European coverage by La Stampa in the last few years? How do you see it changing in the future? Like everybody in Italy, circulation is down. Luckily we have lost less than most of our competitors. We are definitely the Italian newspaper that gives the widest coverage of European affairs. I can tell you that in 2016 I filed 576 stories from Brussels that were published in the newspaper or on the web. 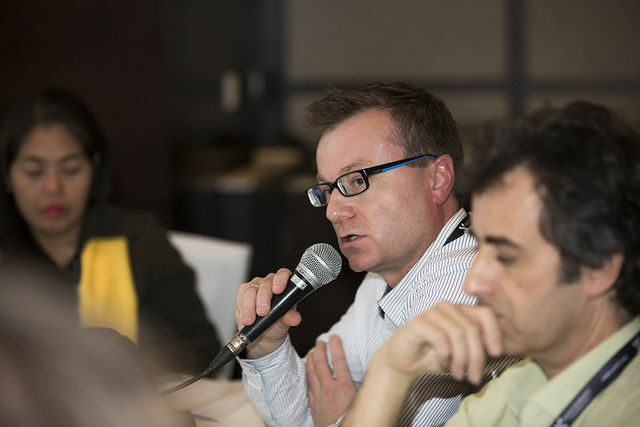 Our editor, Maurizio Molinari, is very much focused on European affairs. He thinks that Italy is important, but it is important as a part of the European Union. So we will keep increasing our coverage of European affairs, trying to make people aware of the fact it is not about foreign policy, it is Italian policy. What I observed during this #Media4EU series is that the sector is made up of huge online platforms like Facebook, but also startups like BuzzFeed, Business Insider etc. and on the other hand, national media which are concentrating and sometimes shrinking. Is this the context necessary to understand the rapprochement between La Stampa and La Repubblica? Yes indeed. It is an industrial project first. We are trying to achieve economies of scale, save money on the back office, the way we print the newspaper, the way we raise advertisement revenues, etc. What we know for the moment is that La Stampa and La Repubblica are different newspapers and they will be different as long as we can forecast. So integration means economies of scale, but also that we must respect the soul of the newspapers. The main shareholder of La Stampa is the Agnelli family-controlled Fiat group. They recently invested in The Economist. Are they choosing to support the growing global media and leave shrinking national newspapers to somebody else? Not at all. They will be involved in the new projects, but they’re just trying to act on the Italian market in the way the market needs to be addressed. There is no lack of interest from the former main shareholder of La Stampa. It is an attempt not to withdraw from the market, but rather to make better information and make more money while doing it. La Stampa is a member of the syndication cooperation called Europa, like The Guardian and several others. La Repubblica is a member of LENA – Leading European Newspaper Alliance – with Le Figaro, Die Welt, El País etc. Will the combined group be involved in both networks or will they be handled separately? As I said before, the two souls of the newspapers will stay separate in the future so, as far as we can tell now, La Stampa will stay with Europa and La Repubblica will stay with LENA. It’s two different newspapers, because La Stampa is mainly in north-west Italy and 70% of the newspaper sales are there. If we merged with La Repubblica we would lose half of that. So we’ll keep on doing what we are doing now. In this #Media4EU project I’m analysing why these exchange agreements are very strategic but often they don’t work well from a business and sometimes even from an editorial viewpoint. It seems that Europa, looks good on paper but the exchanges are not very frequent. Why is that? These agreements are very important because they give you the possibility to open new windows. But sometimes, they are hard to handle because journalists should be a very forward-looking group of people, and most of them aren’t. We still think too much about our own affairs and not about global affairs. So sometimes it’s quite tough to merge ideas and merge the passion for journalism, but in the end when it works it’s great for the readers. We should be making it work better, it’s true, but still, we are deeply satisfied with it. So far four main hurdles to cooperation have emerged from the #Media4EU project, two of which are compatible CMS interfaces and translation. The other two appear even more important than I assumed: the mindset of journalists, which you have just addressed, but also the lack of a business model for these exchanges. How could this evolve? The technical problems concerning translation and business are especially true and even more so because newspapers are poorer than they were a few years ago. So to handle this business very well you’d need to invest and the publishers so far are not very keen in doing so because they say there’s a crisis. Sometimes there is a lack of perspectives from the publishers’ side which means that they have to do business with less money and that makes the process more difficult. So it’s actually a series of problems which are combined together: people, technology, money and the mindset of the publishers. This is what we must tackle. If there was a stronger business model behind exchange networks, would publishers be more willing to invest? For example, there are some initiatives to have public interest fund some editorial series. One example is the Gates Foundation supporting development coverage on El Pais, Le Monde, The Guardian and also EURACTIV. At La Stampa, are you open to such agreements with the private sector? Of course, we are, but then we have another problem. The physical newspaper has a limited number of pages. It’s difficult to fit everything in the paper itself. Why not develop it only for the web? Because for the moment the format that is making money is paper. Italy is not a very advanced country as far as technologies are concerned, so we are making money from print, even if we are very aware that the Internet will more be relevant in the future. We are trying to manage both things, but since we don’t have a big army, it can be complicated. If there were potential sponsors for online cross-border initiatives, maybe including new formats like video, would you be open to that? Of course, yes. We’ve been offered to participate in an urban journalism project organised by a foundation, which is still being negotiated. We think urban journalism is very important because it is local but it has a global flavour, so we are discussing this right and we are totally open to new initiatives. After many #Media4EU interviews I’ve realised that human resources and the mindset of media professionals are even more important than I thought. The #Media4EU project came up with two initiatives: one called ERASMUS4Media, where young journalists and media professionals would be posted in a foreign media organisation for 1-3 months; the other, Media4Europe, would involve top media management and would focus on benchmarking and study visits. What do you think? I totally agree. I absolutely support this because I think there are not enough people with experience in the field, especially in the international field. My personal experience is that the moment you send them out, you tell them about Europe, they come back convinced that there is a chance for the EU and that Europe is our big home in which we get to defend our own country. The number of young journalists who have little or few chances to travel as before is quickly decreasing. Sometimes it is even very difficult to get out of the office. The web had offered new chances but has reduced the opportunities, too. Any initiative that can increase contacts between journalists (young or otherwise) and offer new means of international contacts is of course very welcome. I’m ready to give a hand and I think that La Stampa should do whatever possible to be part of ERASMUS for journalists. As Erasmus turns 30, politicians and teachers have called for a massive increase to the programme’s funding. Hugely popular and undeniably successful, Erasmus is currently accessible to just 7% of young people. EURACTIV France reports. In March 2017 there will be a celebration of the anniversary of the EU in Rome together with efforts to re-launch the project. Given its status as the fourth pillar of the Union, should the media be mentioned in this re-launch roadmap? Let’s imagine that you were to speak at the event, what would be your recommendations on behalf of the media sector? I would ask for more fairness towards the press, to consider us more as intermediaries and less as just the instruments of politicians. The more you attack the press the less you respect the citizens. Lies have short legs. So you can manipulate the press and be re-elected, but that will be a short-sighted idea. The country will fall and they will fall too.